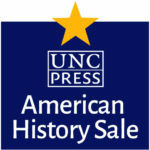 Save 40% on our new and recent books in Women’s History — and on any UNC Press book. Click to view our complete list of Women’s History titles. When Women Entered the Federal Workforce in Civil War–Era Washington, D.C.